I'm a 62 year old woman......I had a small stroke two years ago. Two months ago I timidly bought a compound bow. This was an impulse purchase during a time when I was trying to feel strong. The first five times I shot an arrow it was like a bolt from the blue. I loved it....experienced joy. 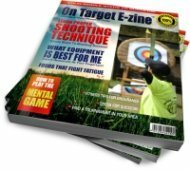 As I'm retired I had the time to do what I'm doing now.......constant shooting around experienced archers. I joined a JOAD group ;) Don't know why he let me in, but he did. The benefits to me physically and mentally are too many to list exhaustively here: regaining balance, core muscle strength to prevent falls, slow retraining of my affected side (which was my dominant, the side I shoot from), slapping down depression (which organically is usually present post stroke). I now take no pain medication for my affected arm and shoulder. I train,walking for endurance. I hire coaches (probably too many.....confusing somewhat). My goal is to be a compound bow Olympic archer. Yes, at 62. I go to every NFAA tournament here (every Sunday) and am steadily improving. I train every day joyfully and with increasing focus. Is there a division for me Olympically speaking? 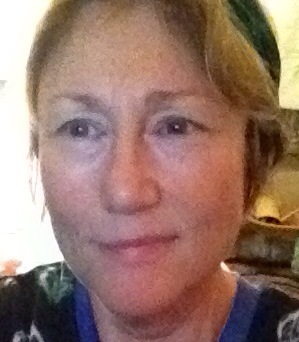 Here I'm a "silver senior female bowhunter." I just bought a target bow though and will begin to learn this and increase my ability. I don't know if you will see this response or not, but you INSPIRE me! I am a 38 year old female just picking up the bow for the first time. Your words reminded me of my experience. The first time I shot an arrow, I felt elated. I cannot explain how beautiful it felt to me. I felt your determination, strength and beauty coming forth from your words. You make me want to be stronger and a better archer. I hope you hit a many bull's eye in your future. Thank you coach for your input and info to 62yr old. After reading her story I too was inspired to continue on with the sport. After reading your reply and comments I was pushed even further! Today I will be going to fit my compound to me and hopefully shoot it, can't wait. But was wondering if I should even be doing this at my age and being female and all. Now I am happy to find I am not the only female with a drive to enjoy life again. God Bless you and Happy Shooting! Congratulations - your tenacity and determination to overcome the effects of a stroke take courage and strength and you are truly an inspiration. I have good news for you and I have some bad news. 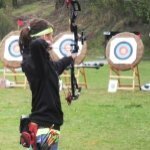 You are among a large group of the archery population who would like to see compound bows accepted in the Olympics – The bad news is that it is unlikely to happen. Age is not a determination for eligibility to participate in the Olympics. So, unless you have the desire to challenge your skill further and take up the recurve bow, the Olympics are out of the question for the time being. There are so many great opportunities for compound archers to compete in target, field and 3D on national and international levels it will make your head spin. For now, keep learning and improving your skills and start looking for tournament opportunities where you can experience all 3 games and decide which you like best...then get out there and play. One day you might find yourself traveling to some of the most beautiful locations around the world for International competition. Shoot straight and keep the experience joyful. Join in and write your own page! It's easy to do. How? Simply click here to return to S2-01 Stance and Posture.